Call Mad Science in your area now for more information! This workshop will introduce preschoolers to the exciting world of color. They will make a new friend while learning about the colors of the rainbow and will experiment with their creative side during an activity on color mixing. Demonstrations will be conducted to introduce students to the primary colors as well as color mixing. This workshop will provide preschoolers with an opportunity to get their hands dirty while learning all about worms. They will work with magnifying glasses to get an up close look at the lives and habits of worms. This workshop will introduce students to the science behind the sounds all around them. Children will experiment with a wave motion model and a twirling tube to help them understand that sound travels in waves and can be heard in a variety pitches. They will also have the opportunity to learn about the everyday materials that make a variety of special effects noises in the movies and will watch, and hear, a bee buzz above their heads. Children will learn how they understand the world with their sense of touch and will also emphasize that some objects are safe to touch while others are not. The preschoolers will be presented with the challenge of identifying a variety of objects using only their sense of touch. They will also experiment with an interesting and innovative material to model their very own creation. 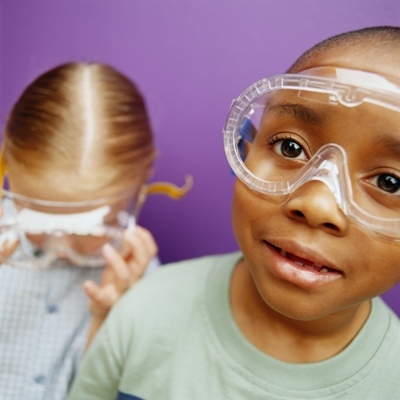 This workshop will introduce students to their sense of sight. They will experiment with magnifying glasses, kaleidoscopes and binoculars. The preschoolers will also interact with a variety of optical illusions to illustrate that your eyes can sometimes play tricks on you. Preschoolers will learn that even though air is invisible it is all around them all the time. They will also learn that air has the power to both move items and to slow them down. They will also experiment with a variety of items that rely on the air to help them move. Dinosaurs are always a huge hit with children, especially preschoolers. They will be introduced to the differences between meat eating and plant eating animals and will have the opportunity to look at some dinosaur teeth up close. They will also work as paleontologists by participating in a mini dinosaur dig that will engage their attention as well as their scientific skills. 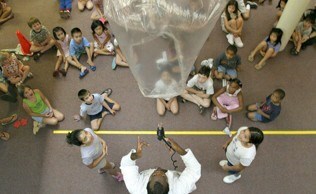 Through this interactive class preschoolers will help create a cloud in a bottle and will make in rain inside. They will also learn all about the water cycle and weather patterns and will design their very own windsock to take home. Water is more complicated than it looks and through this exciting workshop children will learn all about the different properties of water. They will experiment with floating, sinking, absorption and so much more. Boom, tap, smack, cha-cha-cha, listen to the sounds and rhythm of the science of music. Children will feel, hear and see the vibrations that help create music in this hands-on exploration. Meet Mr. Bones and learn about muscles and body systems. Become an animal, identify animal sounds, and learn all about animal’s babies and parents. Experience the poles and power of magnets in this hands on workshop that even provides children with the opportunity to make their own magnet to take home. Take your class on a trip through the solar system and sign them up for the Mad Science Astronaut in training program where they will learn all about the elements of space. Students will even get to take their very own mini rocket home. Volcanoes and more simple chemistry fun, and make your own modeling dough to take home. What is light? Mix colors of light and explore the rainbow of light. Preschoolers discover all about butterflies –where they come from, stages of their growth, how they eat and even make some of their own to take home during this workshop. 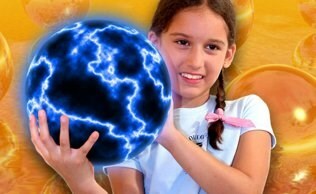 Children explore the concept of energy and how energy gets things moving in this workshop that uses toys to help explain simple energy ideas. They will take home toys called “Boinks” that will help them remember how energy and motion are related. Children will discover a world that they might not have realized was there through the use of mirrors, microscopes and magnifying glasses. They will reveal hidden pictures learn about reflection and symmetry and use hand held microscopes to observe objects closely. They will take away plastic magnifying glasses to continue their exploration at home. Preschoolers will learn the basics of measurement during this workshop when they get to measure all kinds of objects using balance beam scales, bathroom scales and even their own feet! Children will be introduced to the concept of estimation and take home a measuring foot to cut out with their their parents. Children will explore the science of the sea when they learn about what sand is made from, how shells are used by animals for protection and what animals live in the ocean. They will make their own ocean bottle to take home.